I can tell it’s a Monday by how entirely full I am. Do you ever do that? Do you ever try your hardest to eat well, exercise, and make generally healthy choices all week long only to crash and burn in a sugar and butter-induced dumpster fire of weekend disgustingness? Welcome to my world. I ate my way through the Friday, Saturday, and Sunday, and now Monday is kicking my tail. We went to the beach with friends this weekend, and it was terrific. I can officially promise you that the only thing better than owning a beach house of your own is having best friends with a beach house. We trucked the kids to south Alabama’s Orange Beach and spent 72 hours power eating, sun soaking, and wrangling tiny humans. Now I know Alabama does not have a reputation for seriously delicious dining, but there are some really good meals to be had on the Gulf. Our schedule was basically built around the restaurants we planned to eat at and the rest of our tine was spent munching on snacks ever half hour. No crab claw, french fry, or margarita was left unscathed this weekend, because went in HARD. Which brings me to this case of the Mondays. 3 days of over-indulging has left this pregnant lady’s stomach even more stretched out than ever. I wake up hungry and go to sleep hungry, and that sad-looking sandwich I’m destined to eat for lunch would sound much better if it was deep-fried and covered with tartar sauce and tator tots. The beach restaurant weekend life spoiled me to pieces, and I’m totally dragging my feet on this road back to normalcy. 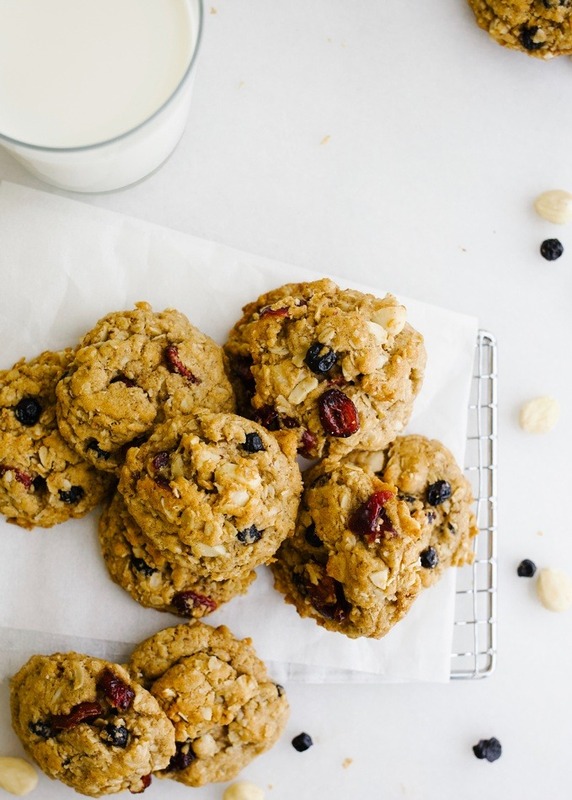 If you ask me, the perfect remedy for that transitional window between vacation and work week eating is healthy-ish treats like these vegan oatmeal cookies. Instead of butter, we’ve got coconut oil, and in lieu of chocolate and caramel we have dried fruit and nuts. 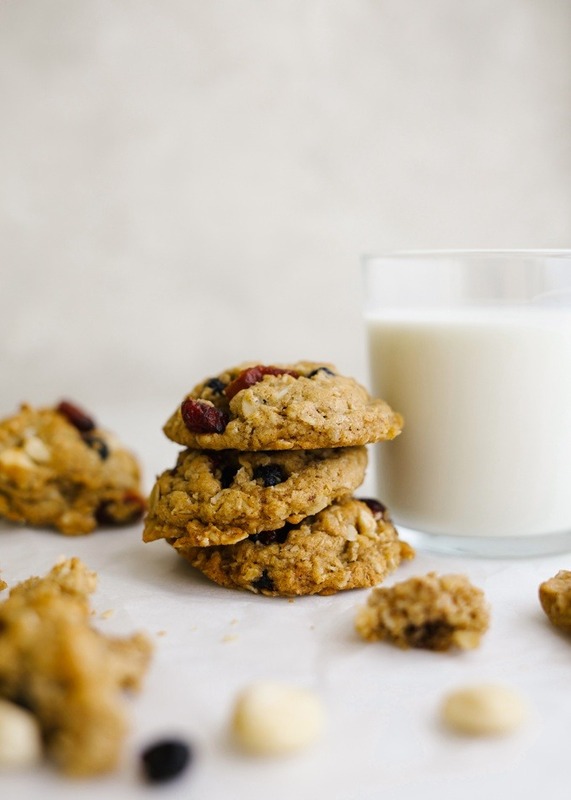 These vegan oatmeal cookies pack a few extra health benefits without sacrificing any bit of flavor, taste, and texture you’d hope for in a regular cookie. These are the type of treats you can enjoy without feeling entirely guilty (if you’re the type of person who feels guilt via baked goods). This recipe for vegan oatmeal cookies was adapted from my favorite original vegan chocolate chip cookie, and I depended on Diamond of California Fruit and Nut Blend to make the prep that much more simple. 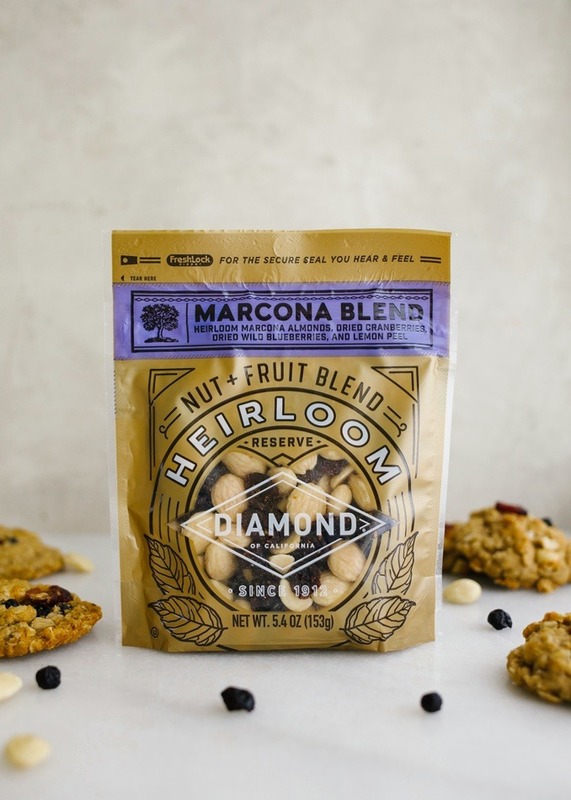 I use Diamond Nuts for pretty much any and every nut-filled dish I create, but when I was thinking for some creative uses for their fruit and nut blends (I mean, besides just eating straight out of the bag) I immediately thought of cookies. 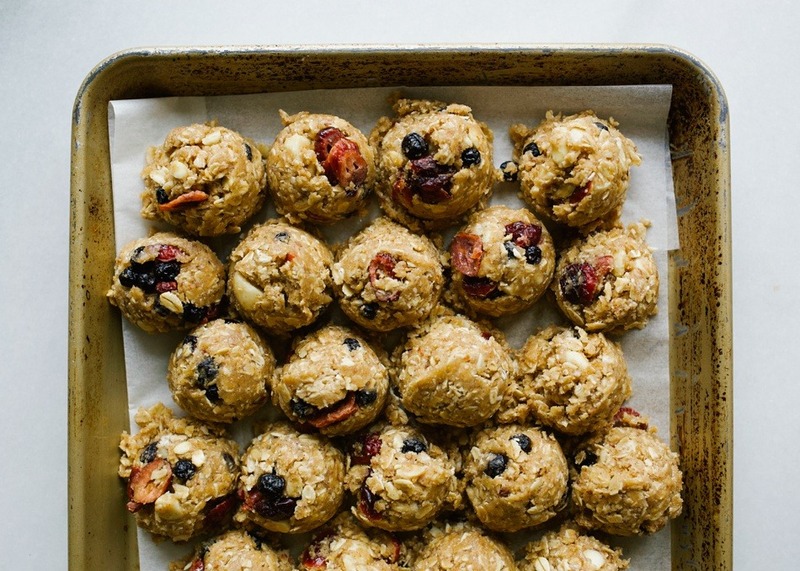 The fun variety of fruits and nuts included in their three different blends adds a little something special to an otherwise ordinary batch of oatmeal cookies, and I was delighted by how at home they were in these chewy little bites of cinnamon-spiced deliciousness. To make vegan oatmeal cookies, we start by creaming the fat and sugar. Coconut oil is blended with organic brown and cane sugar as well as a little vanilla extract. A flaxseed egg is added in next to hold the cookie together and then the dry ingredients are tossed in as well. 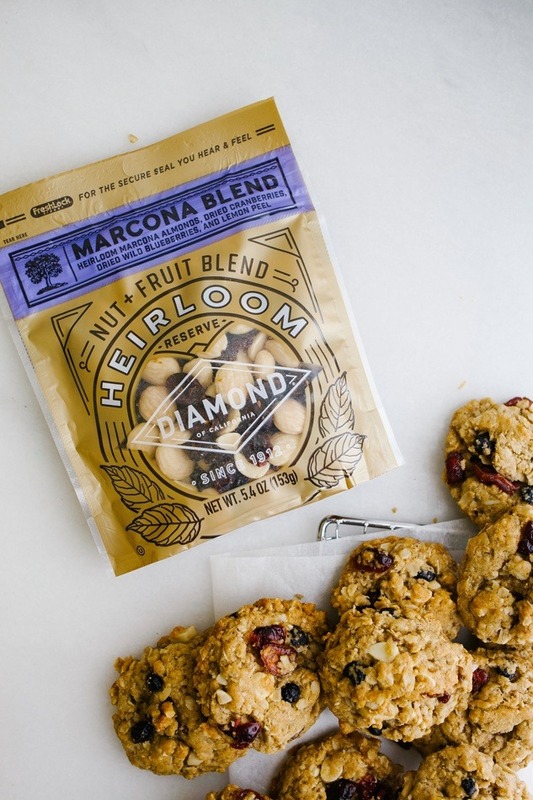 All-purpose flour, baking soda and powder, salt and a smidge of cinnamon anchor the oats, Marcona almonds, dried blueberries and cranberries, and the cookies bake up into fragrant and flavorful chews. I love how simply the dough comes together and how they keep well for days at room temperature. 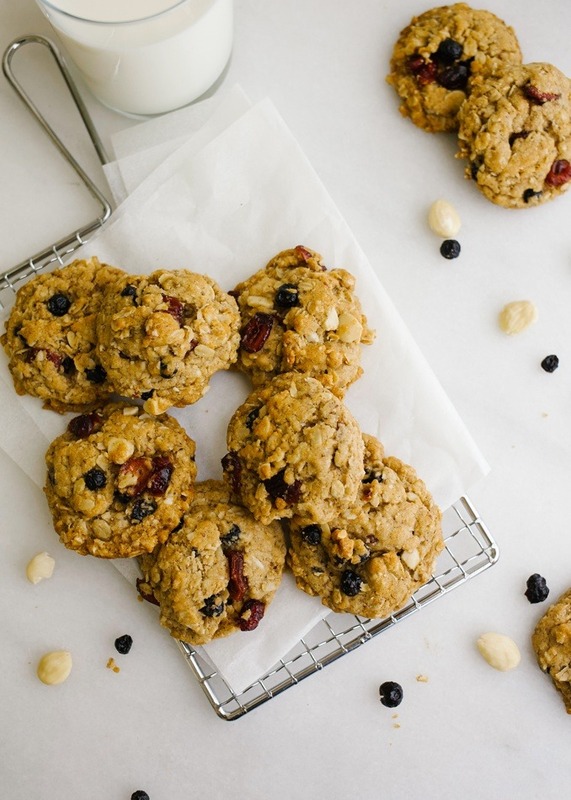 If this Monday has got you wishing for a little Friday/Saturday/Sunday special, bake up some vegan oatmeal cookies to soften the blow of yet another weeklong grind. I just know you’re going to love them! Many thanks to my BFFs at Diamond of California for being terrific partners and for sponsoring this post. 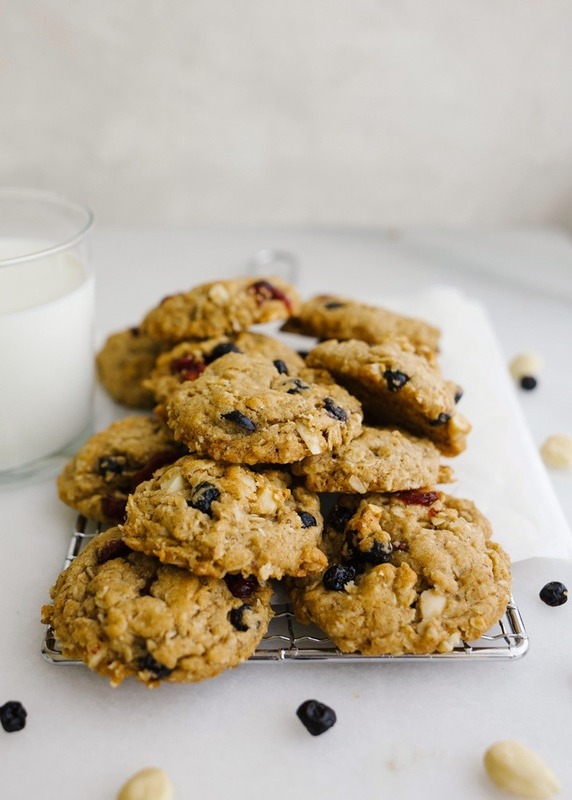 These vegan oatmeal cookies would be the perfect home for any of their fruit and nut blends, so give them a try and let me know what you think! I hope this week treats you right and that you get some time to love yourself in the kitchen. Happy Monday and Happy Baking! 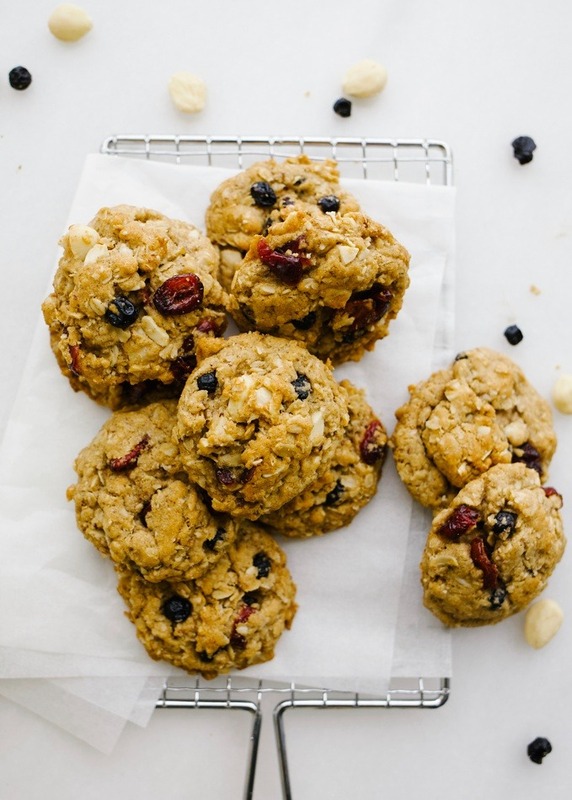 These vegan oatmeal cookies are a coconut oil based dough with oats, dried fruit and almonds! Simple one bowl recipe! In a small bowl, combine the flaxseed meal and water and allow it to rest for 5-10 minutes. In a large bowl or the bowl of a stand mixer, beat the coconut oil, brown sugar, sugar, and vanilla extract on medium speed until combined, about 30 seconds. Add in the flaxseed mixtures and stir to combined. Add the flour, cinnamon, baking soda, baking powder, and salt, stirring on low to combine. Add the oat and fruit and nut mixture and stir just until combined. Spoon 1-1/2 tablespoon sized rounds of dough 2 inches apart on a sheet pan prepared with silicone baking mats or parchment paper. Bake in the preheated oven for 11-12 minutes or until the edges have turned golden and set. Remove from oven and allow to cool prior to enjoying. 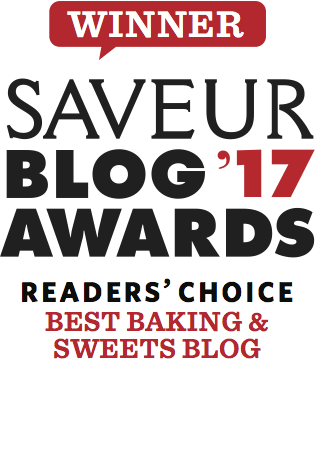 If you don’t have a problem with using regular granulated or brown sugar, you can substitute that here, however, most standard sugars are not truly vegan. I used Wholesome Cane and Brown Sugar for these cookies. Be sure that your coconut oil is not liquidy or melted. This recipe was tested using solid coconut oil, although there were some small differences between brands. You can substitute GF flour here, although the cookies may spread slightly differently. Test the baking out on one or two to verify that they will bake as you’d like. If they spread too much, refrigerate the dough, and if they stay more puffed than you’d like, slightly press down on the dough balls. Great recipe. I love the Healthy Oatmeal Bites sold at Publix. I thought these might be similar. They were:) I did use less cinnamon as I am not a cinnamon fan and I used King Arthur’s gluten free measure for measure flour since that is necessary for me. They turned out wonderful. I will do them again. Hi Sandy! I’m thrilled to know you had good luck with these. I’ve not tried those cookies but I love Publix, so I’ll need to check out! I loved your vegan chocolate chip cookie recipe! I just shared this post with my friend. Looking forward to trying this recipe out! Hi Katie! I have a question. 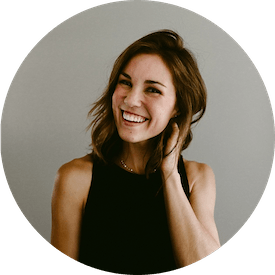 My boyfriend is allergic to eggs, so I love that you have the flax option….but he’s allergic to a lot of things, and flax isn’t something in his current diet (basically we aren’t sure if he will react to it or not without getting tested). Is there anything you would recommend aside from eggs or the flax replacement 😛 sorry. So complicated lol. I usually make recipes with like apple sauce or something to give it the moisture but not sure how transferrable this is between different types of baking i.e. muffins vs cookies 🙃 I love baking but his allergies make it tough! It’s been way too long since we took a trip to the beach! Maybe this summer we’ll take a trip. These cookies look amazing – vegan cookie dough is the best since you can eat it without hearing your mother in your head warning you about the dangers of raw cookie dough. These cookies are the bomb!! They are wonderful road snacks too, especially on the long drive home to FL (sniff, sniff). I did manage to save a few for your sister 🙂 Love! As part of our cross country military move, we’re renting a house in coastal Alabama for two months. We’ve lived in Pensacola before, so we know that area well, and we LOVE Fairhope, AL. My parents are coming to visit as soon as we move into our house, so do you have any suggestions for the Orange Beach/Perdido Key area? oh yes, tons! Shoot me an email through my contact page and I’d be happy to share! This sounds great. I’m interested in using egg. Any recommendations?